Dubai Electricity and Water Authority (Dewa) will hold its first Green Week event to raise awareness on the rational consumption of electricity and water from April 14-20. The inaugural Green Week will coincide with leading environmentally-focused events such as the 16th Water, Energy, Technology and Environment Exhibition (Wetex 2014), the World Green Economy Summit 2014 and the launch of SmarTech Shopper, which targets consumers. The launch of the Green Week initiative forms part of Dewa’s campaign to spread a culture of sustainability and green solutions among different segments of society. Dewa will organise a series of activities and educational programmes to highlight sustainability solutions and demonstrate the optimal methods of rationalising the consumption of energy resources. “The main objective of Green Week is to promote a culture of environment sustainability among all members of the community and urge them to take action to protect the environment. The event, to be held annually, will feature major environmentally-focused events in Dubai while promoting best green practices to achieve the Green Economy for Sustainable Development initiative, in addition to creating a sustainable environment that would support long-term economic growth,” said Saeed Mohammed Al Tayer, Vice Chairman of the Dubai Supreme Council of Energy and MD and CEO of Dewa. “Dewa will organise a series of community events highlighting issues of sustainability, such as seminars at Wetex and the World Green Economy Summit. 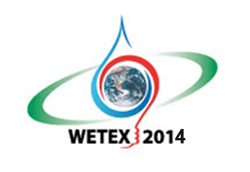 There will be a dedicated platform for Green Week activities at Wetex displaying green solutions,” Al Tayer added. Dewa will launch the Green Ribbon sustainability pledge campaign to disseminate a culture of conservation. This campaign will raise awareness on best conservation practices. Participants will choose some daily green practices and will pledge to abide by them all through the year. This, along with other activities, will support the reduction of electricity and water production, as well as cut down on carbon dioxide emissions.